The Life and Breath Foundation invites you to celebrate the last full night of summer with spectacular sunset views of the harbor, entertainment and more while supporting a great cause. 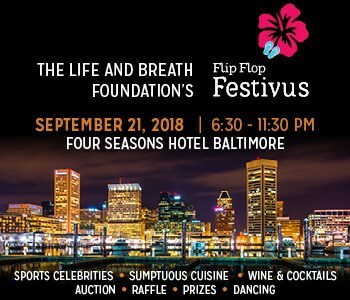 Its 10 th annual signature fundraiser, Flip Flop Festivus, takes place Friday, Sept. 21 – the night before the Fall Equinox –from 6:30 to 11:30 p.m., at the Four Seasons Hotel Baltimore in Harbor East. A repeatedly sold out event with over 300 guests, Flip Flop Festivus offers an elegant night on the town in a resort casual atmosphere. 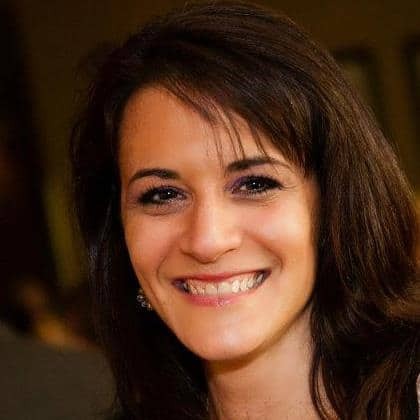 Past attendees have included former professional athletes and media personalities such as Qadry Ismail, Brad Jackson, Gheorghe Muresan, Harvey Grant, Matt Stover and Mike McCrary. Taking place in the hotel’s Cobalt Ballroom, this year’s event will feature sumptuous cuisine and cocktails, along with casino games, raffle prizes and an exciting live auction of highly sought-after sports and travel packages. Guests also can dance to the sounds of DJ Lyndon “Smoky” Lansdowne from The Starboard in Dewey Beach, who is now celebrating his 30 th anniversary as a DJ. year struggle – as there is no cure for the disease. Proceeds from Flip Flop Festivus will enable the Foundation to fund additional research, as well as to assist patients, their family and the medical community in handling Sarcoidosis. volunteer information, visit www.lifeandbreath.org or call 1-866-4SUPPRT or 410-750-8808.Founded in 1998, the Life and Breath Foundation’s mission is to provide the Sarcoidosis community with the vital resources needed to manage their medical care and to offer a supportive environment where they can be empowered. 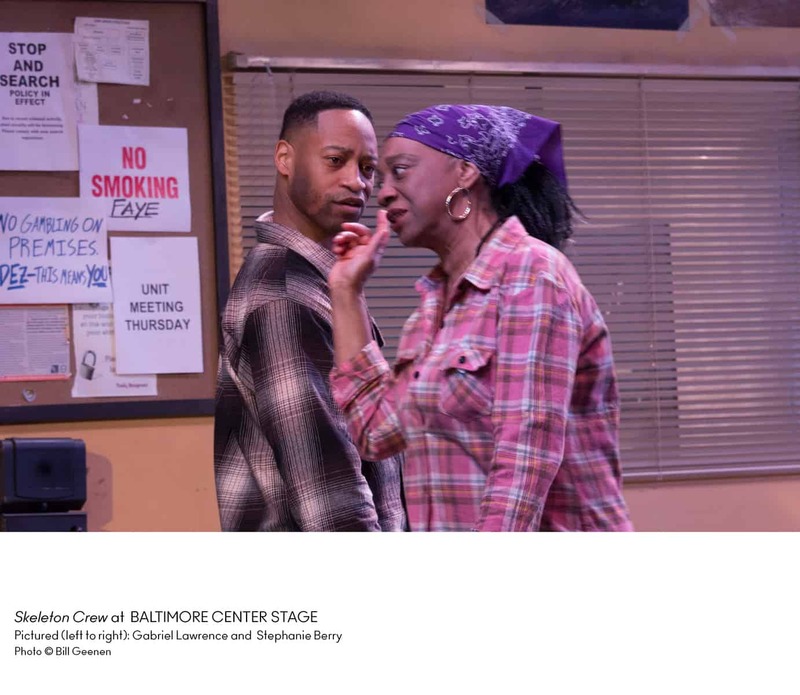 Since its inception, it has raised over $350,000 for Sarcoidosis research studies. For more information, visit www.lifeandbreath.org.